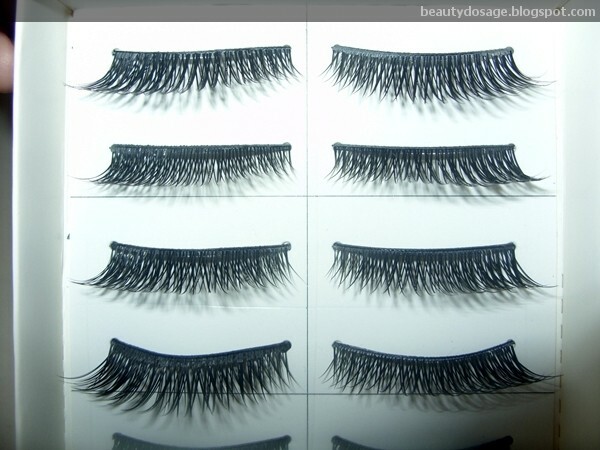 False lashes can change a look from being casual and simple to being dramatic and out there. If you wear a heavy makeup look, you natural lashes tend to get lost in the look and there is something missing. Those are falsies! You can find false lashes in any beauty store from both high end brands to low end brands. MAC has lashes in a number of different styles but looking at the price point foe what they are, it seems useless. Ardell does a ton of styles too which are loved y everyone in the makeup world. But if you’re like me and have an obsession with falsies, you should definitely try the Asian brands. In the Asian countries like Japan 80% of the woman including teens where lashes even for an everyday look. This explains the varieties in Asian brands in terms of lashes! 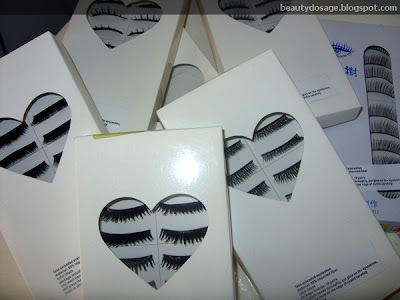 I get my lashes from eBay and other Asian online websites like tmart. However the lashes could sometimes be heavy on the eyes. Throughout the 2 yrs I’ve been trying false lashes, I’ve noticed that few methods of application works best! A pair of good quality lashes. The best types are those with the invisible as these are the most comfortable on the eyes and they are not heavy at all! 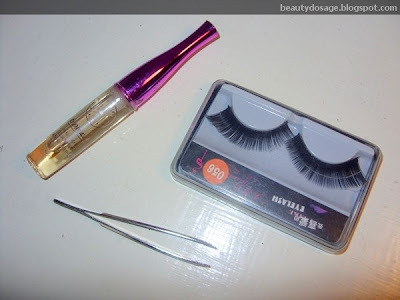 However one downside is that these lashes cannot e reused as frequently as the lashes with a thicker and. I have notice that after 2 years, the hairs get messed and becomes flimsy. Lash glue. Now just like lashes themselves there are varieties of lash adhesives as well. The best one known in the makeup arena are the DUO ADHESIVE which come in numerous finishes. What i use is from an Asian brand. However make sure your glue isn’t too watery. Don’t ever use the glue that come with lashes unless you know the rand is good as they usually don’t stick. 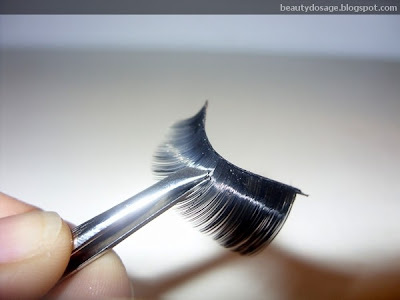 Before applying the falsies curl your natural lashes and apply mascara. Hold the false lashes around your finger and curl them, this curves the mascara just right to fit on the curves of your eye and avoids it from getting off. Place the lashes on the middle of your eye first using your tweezers and then stick the corners in place. Use the back of a makeup brush to press the lash on all areas. This ensures that they stick. Sometimes your glue might leave residue on top of your lashes. To conceal this, draw a line with a liquid liner. Apply a coat of mascara to finish.